Installing a protective cover on your trampoline will allow you to prevent it from getting damaged from being left outside all year round. It will also keep your trampoline clean, protected and increase its longevity. 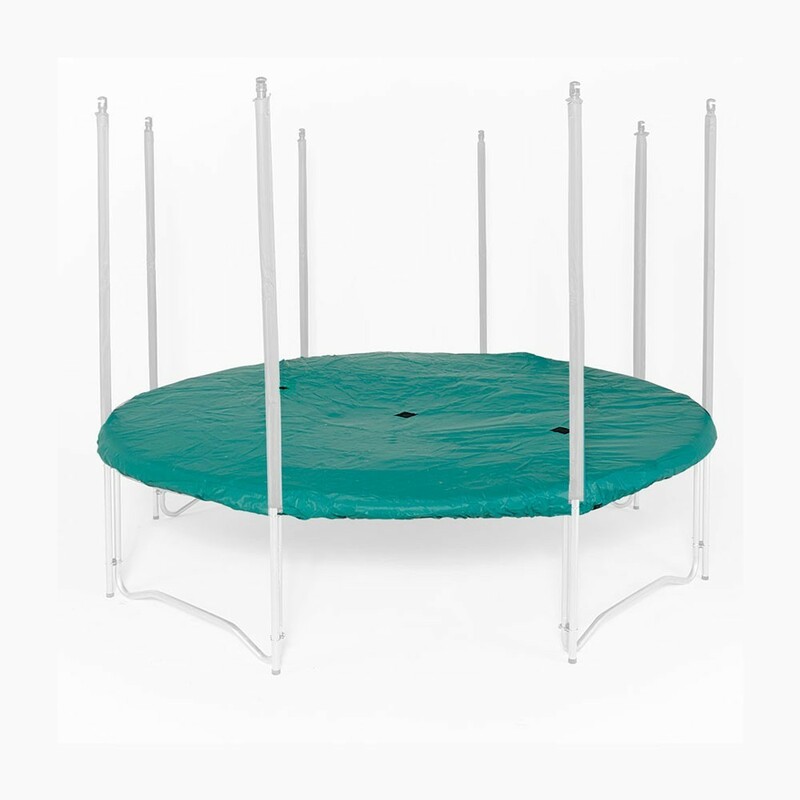 - It is perfectly sized for the octagonal Waouuh 430 trampoline. 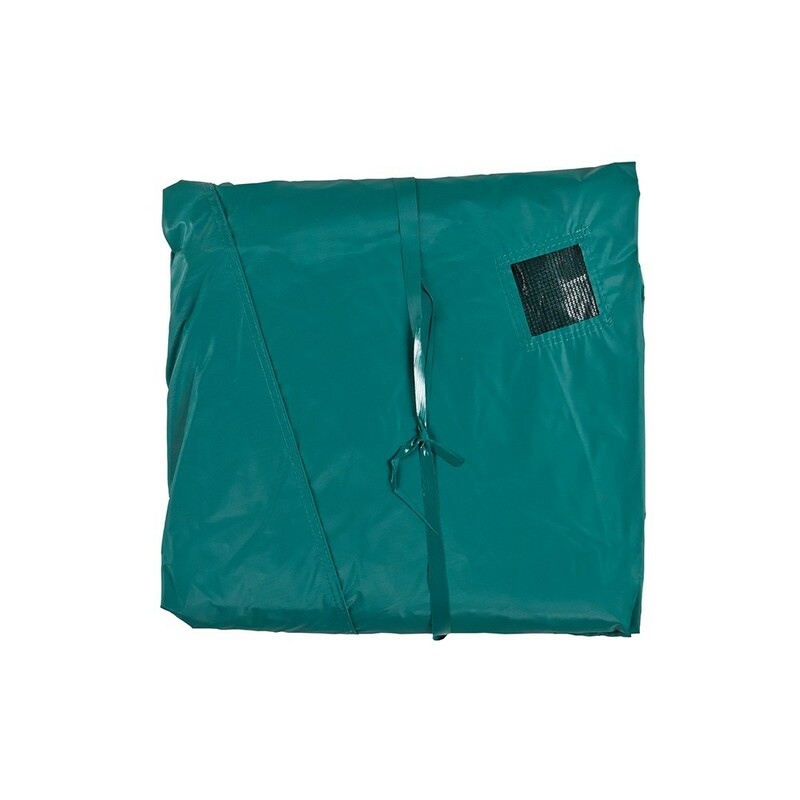 - Our cleanliness cover is made from a green PVC coated fabric, which is thick and waterproof. It is therefore resistant to low winter temperatures but also to the higher temperatures in summer. 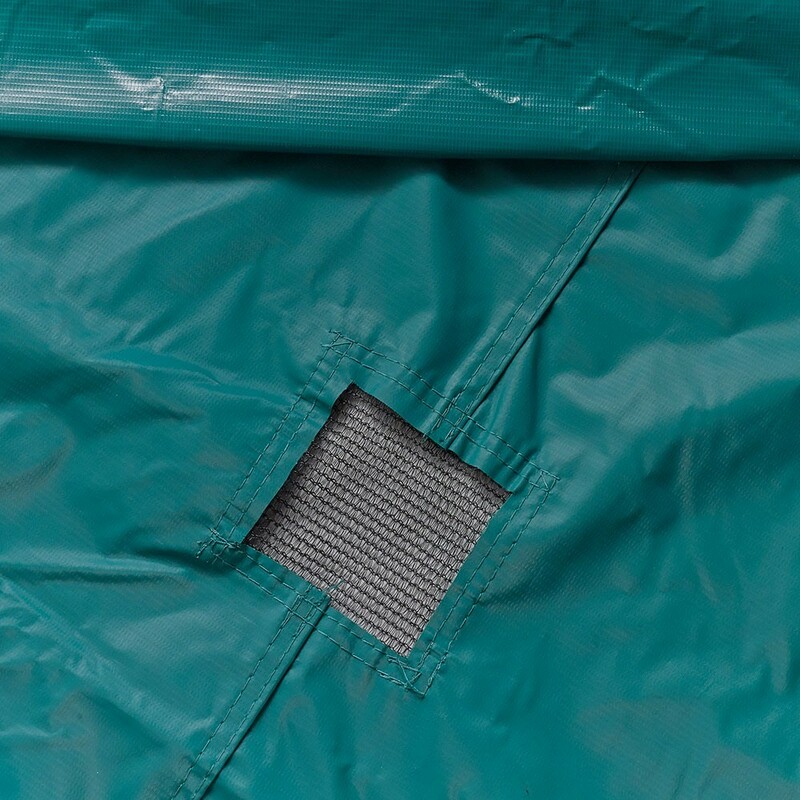 The high density used is very similar to the PVC used for lorry tarpaulins. - The cover is fixed beneath the frame pad using solid hooks. 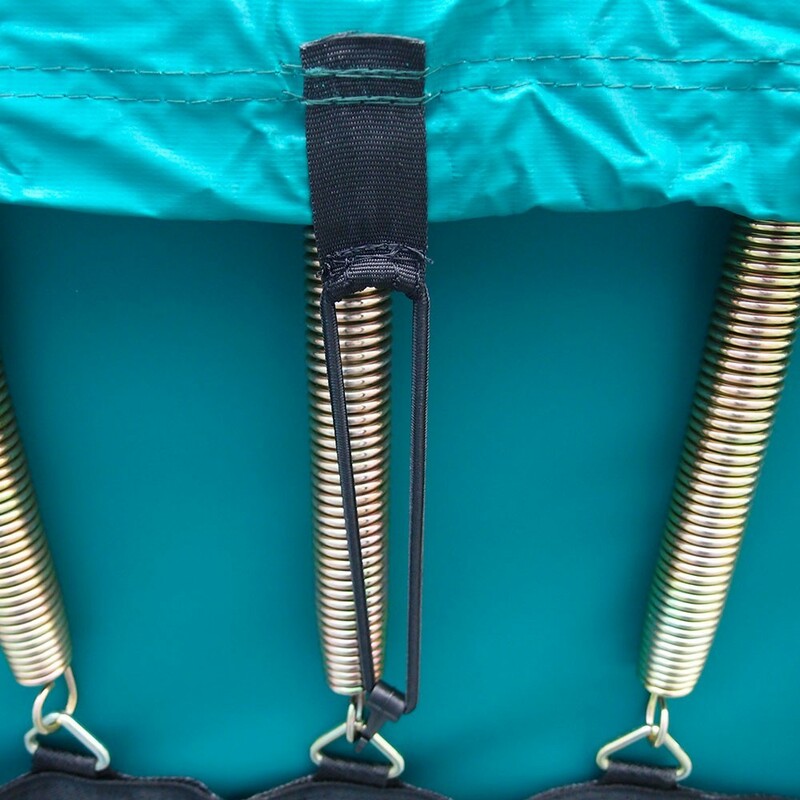 As well as these hooks, an elastic strap holds the cover tightly in place, ensuring that it covers the trampoline completely. 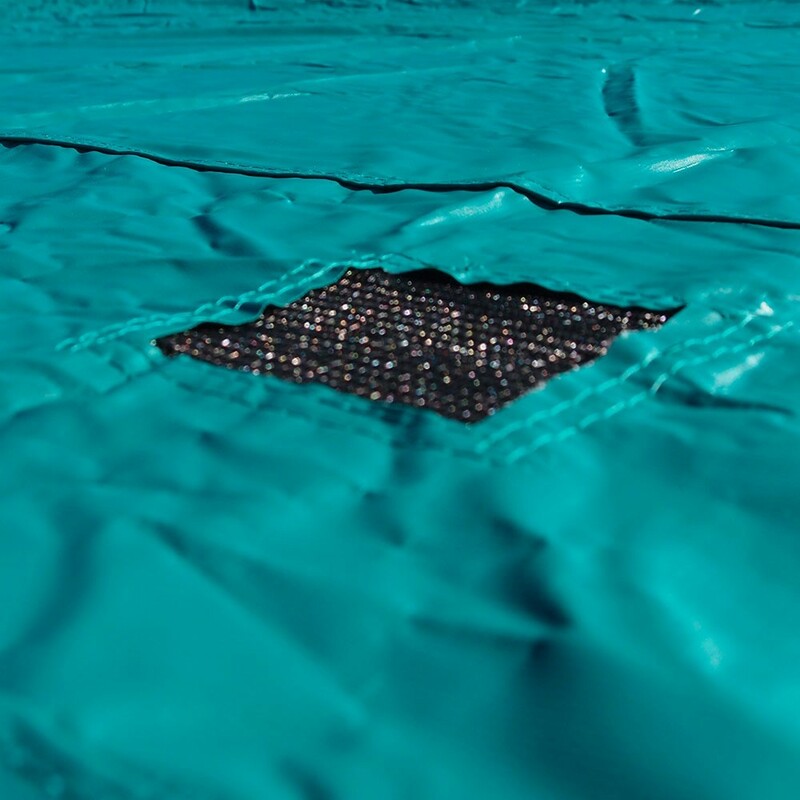 - In order to protect your trampoline from a large accumulation of water, which would be harmful for the spring mechanism, this cover has been equipped with several evacuation grids which allows any excess water to drain. If the springs were stretched, then you would no longer be able to enjoy their power fully. - The cover is green so it will blend perfectly with the rest of your garden. 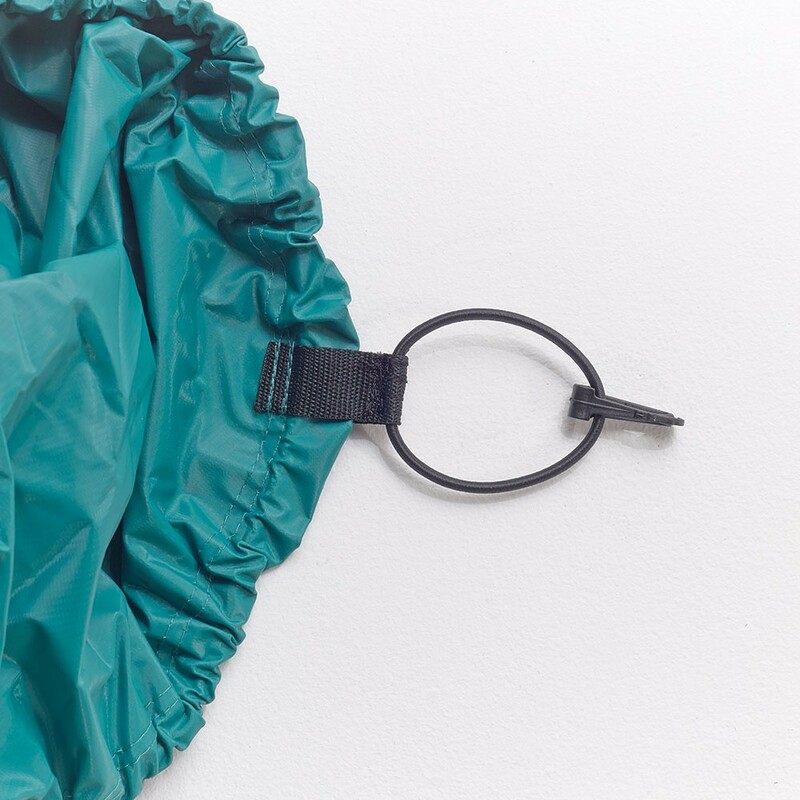 Often thought of as a winter protection, this cover can be useful all year round. In the summer, it is perfectly resistant to strong sunlight thanks to its UV protective coating. The rest of the year, it will also protect your trampoline from getting stained (pollen, birds, leaves…). En l'installant j'aurais du penser que la toile n'est jamais exactement horizontale ! Dommage les 2 évacuations latérales sont en dehors des poches d'eau. Je serai plus vigilant à la prochaine pose... Une "Astuce" à ajouter dans la notice pour les novices. Housse facile à installer, bonne qualité.